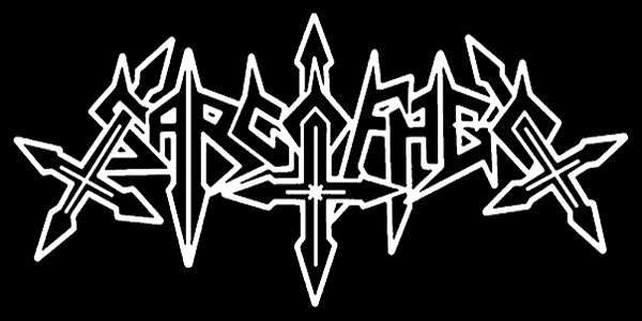 The following interview is done with Fabio Jhasko who played in the legendary band Sarcofago, amongst other bands. This interview was originally done for the 'zine Cry of the Wolf (Germany). I know that’s just a few bands from Brazil, but it's what I can remember at the moment and we all know there are a lot more from that “exotic” country … Like I wrote in the previous split-interview with the other four musicians from Brazil, the Brazilian Metal-scene was and still is always something special for me. Here I have the honor of another split interview, lets say its way more classical, because all of the musicians began in the Metal-scene over 25 years ago. 1. First, thanks a lot for your interest and still believing in printed magazines/fanzines and for keeping the old classic flame still burning through the technical revolution! Alright, let’s begin the first question about your discovery of Metal music. When did you discover Metal music personally and can you remember how the feeling was at that moment? Greetings everyone! Well, that was a long time ago, my first contact with metal music was related to the coming of Kiss in Brazil in '83, I could not attend because I was very young (10 years old). I could only listen to the albums and watch videos that I had some access to, but the real contact was in the presentation of Venom, Exciter and Vulcano in '86, where I was a spectator in one of the most thrilling moments in my life. When Exciter played “Die in the Night” and it seems that the Corinthians Gym would collapse with the furor of the crowd, after that I have never been the same person and I knew that Metal would accompany me for life! 1.1. Before I discovered Metal music back in 1993 with IRON MAIDEN´s “A Real Dead One” I listened to some Rock acts like QUEEN and a few other bands like that for example. About my first experience with Metal music I can say it was a very special moment at that time, first the front artwork and of course the music itself, which of course I didn’t understand anything at that time of what they were singing and writing about, but it was fascinating of course. 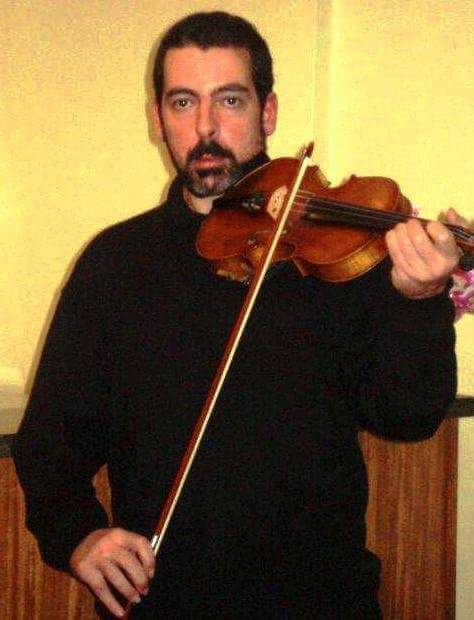 How did you go from Rock to Metal and then to extreme Metal music and then getting your first instrument? I am a great fan of that music, and I confess that my greatest moments really were in the 80/90s scene, you spoke about fascination, that’s the perfect term, it never goes away, that’s the flame which keeps us alive. When I got my first guitar extreme metal was in its early days and I was strongly influenced by Black Sabbath, Iron Maiden, Kiss and AC/DC. Yes, I have heard of stuff like that, but my greatest difficulty was to convince my family to buy me an electric guitar, because in a country of Sertanejo, Samba and MPB (music styles-ed.) an electric guitar was considered an instrument of crazy people! 2. Since the 80s/90s a lot has happened -in and outside the Metal scene- and we could fill a lot of books with it. Please tell me from your sight and your experiences how the past was! Especially in the 80s since the political situation was different than today, I can imagine it was not easy to play Heavy Metal music or be in an extreme Metal band in Brazil. How difficult was it to form and to be a member of a Metal band back in the 80s/beginning of the 90s? In São Paulo we never had problems with police or government really, but only with punks and skinheads. The issue of long hair was a stumbling block when looking for a job due to long hair being associated with subversive activities, including terrorism. This stigma has become a legacy up to this day. Not to mention the high price of equipment and high taxes on things imported at that time. 2.1. About the political situation in Brazil, from the 1960s until 1985 it was under military dictatorship and has now been for 30 years a democratic government and since 2011 been under president Dilma Rousseff. Can you tell me how hard the political situation was under the dictatorship? I don’t understand economic policy, but I can say that the present situation is a big joke at the moment... the country is bankrupt, and Petrobrás, a company which was a source of national pride was plucked by the corrupt “partido dos trabalhadores” (worker's party-ed. ), a Bolivarian communist party who betrayed the people with pseudo-democratic ideals before showing its true face, institutionalized corruption. 2.3. Well, in 2014, Brazil had the football World Cup. It’s not just about the sport now, but also the economic and political side. Of course in every sport nowadays when it comes to a lot of money there exists a lot of political influences. So what brought this world-cup to your country? Because history shows us that when any major sporting events or Olympics are over, the over-built and newly built places and stadiums are empty or only half full for later sporting events. How does the situation look like today in Brazil? Well, you being German know very well that fiasco. The World Cup only served to build overpriced structures and cause great shame to the world, and furthermore the president still forgave FIFA taxes! 3. In Brazil there exists a few different ethnic groups of various origins… We all know about the Portuguese - the original colonists there in Brazil, about the Africans… and about the colonization ca. 1800s, but a big part of it also comes from the half century of 1900 mostly by Germans, Italians, Poles, French, and Spaniards, who brought and created a piece of Europe mostly in the south part of Brazil. A big part, for example, by the Germans are in the areas of Paraná, Santa Catarina and Rio Grande do Sul, where almost 40% of the people are of German origin. What can you say about the different ethnic origins and about the traditional people and communities? Are there still a lot of decisive differences between the cultures and ethnicities? Of course, my mother is from European origin, she was born here but there’s no Brazilian line, while my father was from a few native Indian lines. 4. Not all bands used English in their lyrics and many used the Portuguese mother tongue, like VULCANO, in the beginning, for example… English is a foreign language in your country and was and still is not very well established in schools etc., as it is in many European countries, correct? Can you remember your first song you created? The reason for that is the fact by EUA (Estados Unidos de America-USA-ed.) and Europa have all the attention after all and influence all of us. They also have more experience, information and technology, so it takes some time, but our Brazil is getting there! I believe that's because it is impossible to survive in Brazil playing underground music, the musicians need another professional activity and also to take care of their families. But once they get stabilized many of them come back, by the love of the flag. I’m also back with the first band that I played with, called Klamor. There is another band under the same name on youtube, but is not our style, we are Death/Thrash. 5. Areas like Belo Horizonte/Minas Gerais and Salvador/Bahia were well known for some extreme Metal bands. Please tell me about your area and how much Metal music originated there? How did it feel to attend those first concerts, the tape-trading with each other and being in contact back then with other local bands? 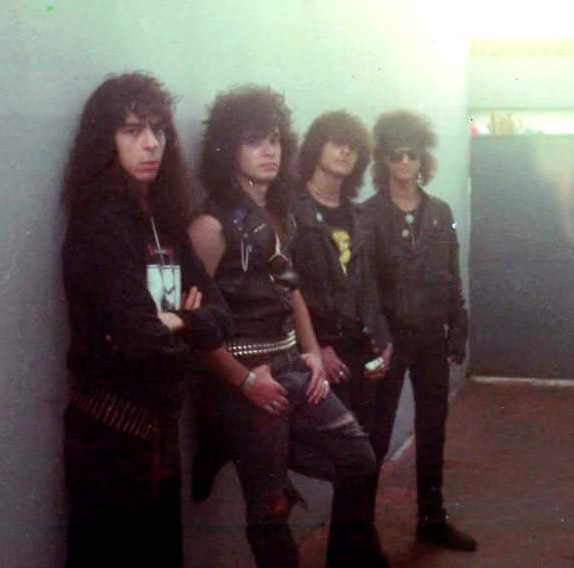 I live in São Paulo, here the predominant music was punk, the metal bands were more traditional like Korzus, Centurias, Viper, Vodu, these bands often played at “Espaço Mambembe”, which soon opened its doors to bands from other states like Sepultura, Mutilator, Dorsal Atlantica, Taurus, among others. 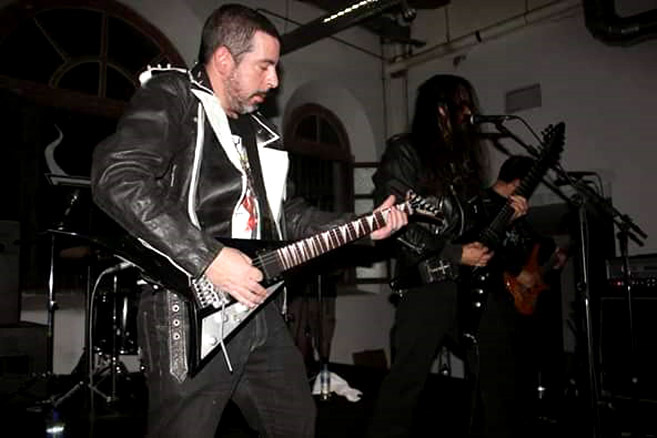 There was also another place in Osasco, the “Sentinela”, where I played for the first time with the band prior to Sarcófago, Skullkrusher (who's also active again). Many good bands played there which unfortunately have broken up now. 5.1. The wheel of time didn’t stop in the Metal scene and every day new Metal and extreme Metal bands come along worldwide. Every month, a whole lot of albums are being released, so many that you can’t even keep track anymore. So how much do you follow the local Metal scene there, and how interested are you still in it? Which albums from new bands have you especially liked in the last five years and which can you recommend? I don’t hear much new stuff, I prefer listening to material from older bands which I don’t know! 6. Now we come to Cogumelo Rec. who formed back in 1980 and have existed now for 35 years. Over time, more and more musicians and bands have said negative things about Cogumelo, whether it is money being embezzled or that contracts were breached, several musicians and bands have nothing good to say about the label. But one thing we should not forget, they released a few great albums like the cult album I.N.R.I. 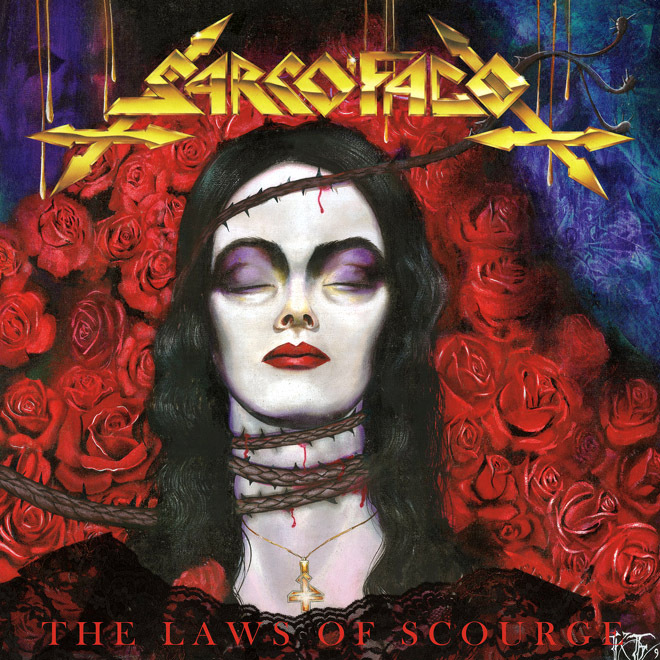 of SARCOFAGO, or the first AMEN CORNER and IMPURITY releases and several others. So what can you say about that label from Belo Horizonte and what are your experiences with them? Cogumelo has money in their eyes, and I believe that these maneuvers are to compensate the great damage caused by piracy. 6.1. Labels come and go, like bands, trends, etc. 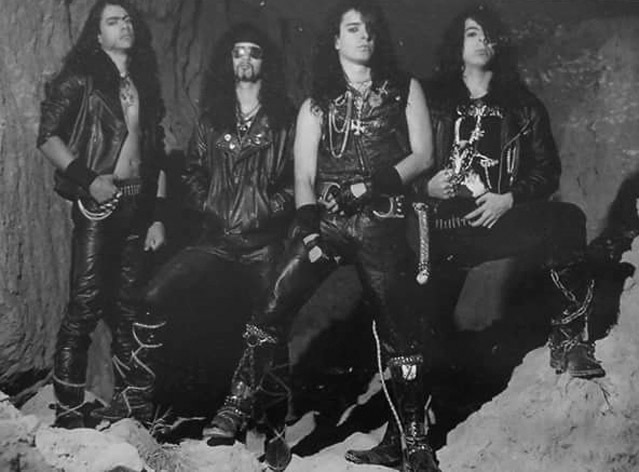 … but Cogumelo still exists, and is the longest active record label in Brazil, and also the first one who began publishing extreme music and albums. Do you know why Cogumelo has survived for such a long time now? They eventually became the bulwark of Brazilian independent labels, and as everything has ups and downs they had significant growth during the music industry crisis, but it has also been on the verge of bankruptcy. I think that they survived because the underground runs in its veins! 7. We are all growing up and people and bands have the internet to discover new music and information, classic or new albums, etc. … all with just a few clicks and we have the technology to send and spread our messages in a fast, cheap and easy way. Back in the past we had to write letters, phone calls, or meeting each other in person (which was almost impossible for people overseas, who had only the first two possibilities for contact). I never would reject the internet and can not any longer imagine life without it, like warriors fighting with swords until they found firearms, obviously the culture of sword must be preserved but if it is possible to use more effective weapons in the battle like the internet then they are welcome. 7.1. Like I wrote before, record-labels come and go, like everything else… what do you think about Metal and business? In general, the music industry has changed, let’s say, in the last ten years. The revolution of the internet didn’t spare the Metal “Underground” and Metal music, and the World Wide Web with its many possibilities is used by a lot of individuals, musicians, and bands, whether it be email, a personal website, or profiles on social websites like MySpace or Facebook. In the past for people to listen to an album they HAD to buy an album, regardless if it was in the format of a cassette, vinyl or CDs. But that is no longer necessary with internet downloads and free accessible sites such as YouTube and various others. We can look at these possibilities as positive or negative. But in the end we all have to live with the knowledge that it is just the way it is at the present time. What is good and bad in your opinion and what do you think the versatility of the internet offers us? The internet was certainly a highly impactful revolution in the world and in the underground it opened many doors. The great problem is the new generation only knows the world through a screen. 7.2. What can be considered a negative point in my opinion, is that many people do “art”, musically speaking, without even considering what it once was. Can we, with the use of the internet, where today almost everything is “free” and available, assume music nowadays has lost a certain kind of appreciation? 8. Now let’s come to fanzines, an unforgettable cult of Metal music. Regardless of the internet, it was the fanzines that have been there since the very beginning of this music. And of course new ones have come along over the years, while older ones give up due to last of interest, lack of time, lack of money or different reasons. What do you think of fanzines and what do they mean to you and to the Metal scene. By the way what do you think about web zines? Zines are undoubtedly one of the pillars of underground music, there is nothing like the physical stuff but web zines also represent the scene very well. They have the same content, the difference is the immediate access! 9. Brazil was in the past and still is a very Christian country. And of course we all know how much influence this kind of religion has had on our societies and politics. How much influence does Christianity have today in daily life in Brazil? There is not much difference between religion and politics, the tax exemption of the churches is also a way of prejudicing the nation. With the great religious leaders and all their following it is natural to mix with the corrupt political system, as can be seen on an evangelical bench in the chamber... there is dirt everywhere! No, fortunately religious institutions always despised us and this is so good, contempt from both sides and everything is at peace! 9.2. I think we all know or read about the time of the second wave of Black Metal from Scandinavia with bands like MAYHEM, BURZUM, EMPEROR and a few others and about the church burnings, the desecration and destruction of cemeteries, and the murders in the early and mid 90s. How was the situation in Brazil at that time? Did these events at that time have some kind of influence on the Brazilian Metal scene? No, all that happened from this influence were churches painted with satanic symbols and stoned. I think that a half dozen crazy guys would not get revenge on Catholicism for centuries of torture and murder! 10. We don’t need to kid ourselves, extreme Metal has changed in a lot of ways. In the 80s and even in the early 90s, it was not always so easy to acquire this kind of music, which made it more fascinating at the time. On the other hand, these days that kind of music is recognized and accepted in public, in society, and in the media and everyone can listen to and play extreme Metal like Black, Death or Thrash Metal music and even form a band without having any ability, or even any particular passion or knowledge. I don’t like to say it's all bad nowadays, for we can't stop neither time nor process, even as far as the Metal scene is concerned, but one should still be allowed to mention it and talk about it, as well as give their opinion on it. What do you think, has Metal music lost meaning for you over the years? Some people say that if a band is on the web it is no longer underground... I disagree with that, because how many bands are there on the internet that we don’t know? About the disclosure in the media such as radio or television I only respect alternative programs otherwise it becomes vulgar. A high and important metal moment was NWOBHM and the extreme bands of that time that still had some influence, something that is notoriously lost nowadays, and this is what I refer to when I say I listen to older stuff from the 80s/90s. Every kind of art, and not excluding the music, must pass a message, teach something about historic or daily facts, but when the concepts begin to take priority about the music there's something wrong... it sounds bad but ideology is good... better read a book then! Thanks to you, Cry of the Wolf 'zine and all metal maniacs for your support of the Brazilian scene, you rule!